You can change the default Magento language relatively easy. First, you need to obtain the desired language translation. This can be done via the official Magento Translations page. FastComet Magento Hosting package is specially optimized to provide fast and secure hosting environment for Magento with free 24/7 Magento Technical Support. To download the desired package, click on the Select link which will bring you to the next page via which you need to download the package itself. This will download the desired language pack translation on your local computer. Extract the zip file and open your favorite FTP client. The folder of the extracted translation should be uploaded under the root of your Magento directory located under your hosting account. If you are not sure how to upload these files, please check our FTP Tutorial. 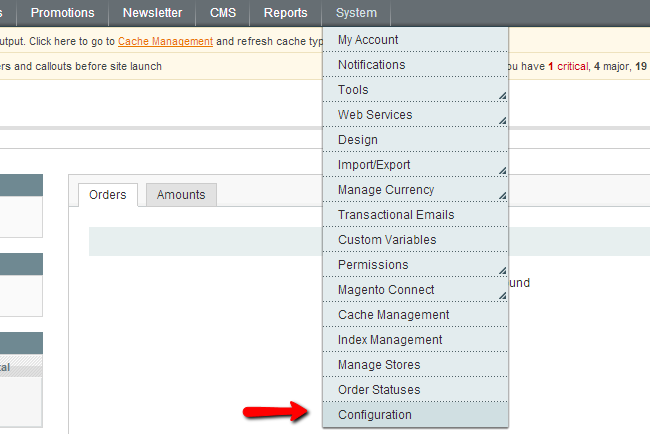 Now when you have the translation files, please refer to your Magento Admin Dashboard and select the System -> Configuration menu. Under the General scroll to the Locale Options section and select the desired language from the drop down menu. When the new locale is selected, please save your new settings. In case new translation is still not active on your store home page, please follow our tutorial on How to clear your Magento store cache.